This is a guest post from game designer J.M. Perkins who is currently running an amazing Kickstarter for his Salt in Wounds Campaign Setting. During World War 2, an estimated 16 Million Tons of explosives were dropped, a small fraction of which landed, failed to explode and –even to this day- have to be disarmed by trained experts because we occasionally still discover these weapons dangerously hidden below the surface. This concept, that the ‘left-over’ war devices from seventy or eighty years ago are still being uncovered fascinates me, and ‘unexploded ordinance’ is something I utilize often in my game design. In our real lives, we live atop ruins and graves, battlegrounds and buildings lost to fires and so much more. In the ten thousand or so years of human history; cities and empires and even languages have bloomed and died and been replaced by what came next. We dig into the past, try to discern who our antecedents were and how they lived. But imagine how different archelogy and history would be if digging into Roman or Maya ruins had the same potential for explosive danger as the aforementioned ‘unexploded ordinance.’ What is the artifacts, monsters, and places of power from the earliest days of human civilization were potent then and now? This is how adventuring is commonly depicted, and dealing with fantasy ‘unexploded ordinance’ can be taken much further as most fantasy setting have histories that verge into the millions of years and encompass a dizzying array of races and peoples. When I’m designing a fantasy game world, I like to think about the peoples and epochs that came before the present and how what was left behind can challenge, excite, and threaten characters. This extends far beyond bombs though; artifacts and perils include weapons certainly, but also portals, partially complete (or only recently completed) magical research, sealed monsters and evils, or even works of ‘art’ or the ‘toys’ of a powerful enough race. Personally, I like to take it even further and design how common player character behavior exacerbates the danger of these hidden ‘land mines.’ For instance, say a party cleared out the cult from those ruins of a mad god… did they then dissemble the temple? How did they ensure that the dark runes carved into the stones didn’t draw in and seduce another traveler? And perhaps this traveler started a new cult while the PCs were otherwise engaged and –with them half a world away sorting their next adventure- was able to complete the fell rites the first cult failed. It’s not enough that the PCs deal with whoever is trying to ‘activate’ the ordinance, it must also be carefully disarmed. 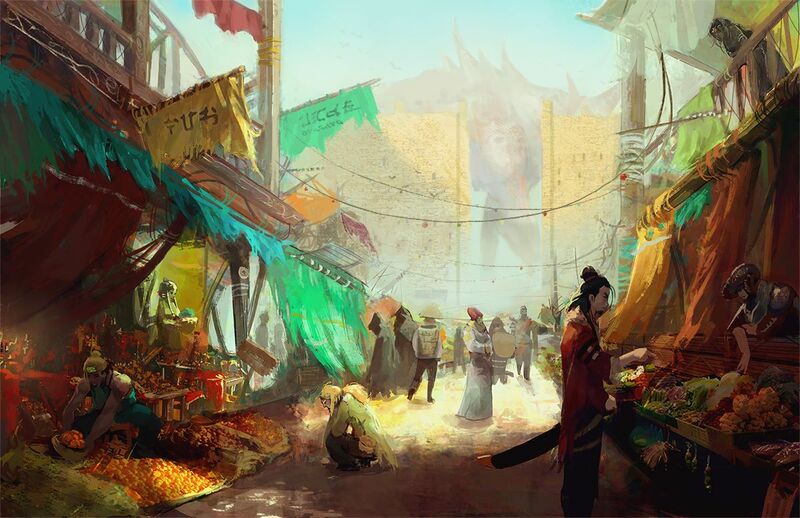 In my own Campaign Setting ‘The City of Salt in Wounds’ the biggest ‘unexploded ordinance’ is a bound Tarrasque butchered perpetually to feed thousands of people, provide reagents for the city’s legendary alchemists, and serve as raw materials for artisans like the bone-smiths. For the people of the city, this isn’t exceptional (much as I don’t give a second thought to living so close to the meeting place of two tectonic plates) but for the players (and probably the player characters) this is a looming threat waiting to go off. Then there are the other ‘unexploded’ perils; the growing, sentient fungal marsh bloating off the Tarrasque’s runoff, ruins of the hyper-intelligent dwarven progenitors below the city, not to mention the myriad political and class tensions that threaten to rip Salt in Wounds apart. But in all these things, as I designer I ask myself what sorts of things were left behind by the victories and defeats and excesses of the past… and how can all this leftover ordinance (delightfully) blow up in my player’s faces? J.M. Perkins is an author and game designer. Since 2015, he’s been writing and publishing about his setting ‘The City of Salt in Wounds’ and you can check out the Kickstarter which is currently over 480% funded. Wow! That’s impressive! Great job my friend, you did amazing. Just wonderful world-building you’re doing here.